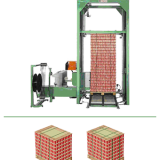 Tallpack International is a specialist in metal and synthetic-strap strapping machines and has a wide range of manual strapping or bundling devices, as well as standard strapping machines or custom-made strapping and bundling machines. Strapping machines are used in many sectors, like warehousing and distribution, and in industries like metal, stone, building materials, wood, cardboard, paper, graphic design, glass, etc. Our representatives will be pleased to offer you advise based on their extensive experience. The aim of Tallpack International is to comply with all preferences and requirements identified by customers. 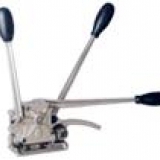 This website pays specific attention to manual equipment or manual strapping systems for synthetic and metal straps. But, naturally, attention has also been given to standard strapping machines, as described on the page for standard strapping machines. 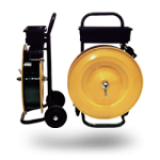 Custom-made strapping machines have been explained on the page for custom-made strapping machines. Of course, you will also see strapping-related accessories like rollers, balancers, scissors and the strapping truck/bundle trolley.